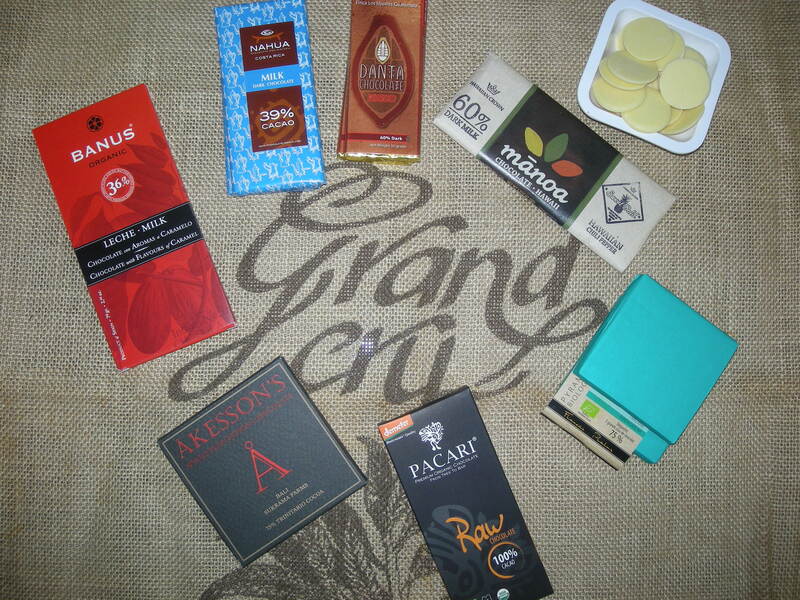 Bij de nieuwste chocolades uit ons assortiment kunnen we trots zeggen dat we nog maar eens verwend werden met chocolade uit Colombia. Cacao Hunters wordt lokaal geproduceerd in Colombia. Dit land heeft een enorme variëteit aan authentieke cacaosoorten. De Japanse top-chocolademaakster Mayumi Ogata is twee jaar geleden naar Colombia verhuisd om deze rijkdom te exploreren. Samen met haar Colombiaanse collega’s reist zij het land af op zoek naar exclusieve cacao, met name de zeer verfijnde witte cacaosoorten. Een nauwe samenwerking met de lokale cacaoboeren staat hierbij centraal, met veel aandacht voor de verwerking na de oogst. Strenge selectie en een nauwkeurig productieproces in kleine batches leidt tot fluweelzachte chocolades, waarvan een aantal inmiddels bekroond zijn met de gerenommeerde International Chocolate Awards. In de verpakking vindt u de smaaknotities en herkomstgebieden. De Sierra Nevada cacao worden vlakbij Aracataca geteeld, het dorp waar de Colombiaanse schrijver en Nobelprijswinnaar Gabriel García Márquez is opgegroeid. Tonen van rood fruit, honing, rozijnen en melk. Licht ziltig. Tonen van rood fruit, citrus, honing en rozijnen. Tonen van honing, cashew, mandarijn en noten. Tonen van noten, hout en kruiden. White Chocolate, couverture, made from 100% fine flavor cocoa beans of South American Origin. Total non-deoderized cocoa butter content is 34% and milk content is 18%. Product is certified Kosher. Product format is convenient portioning and melting. At Banus they have stived to create milk chocolate which keeps the nuances of aroma and flavor of cocoa. Very balanced in the mouth, with lactic hints, aromas of caramel toffee and a long cocoa finish. Delicious milk tablet with 39% cocoa, creamy and exquisitely refined. Good to suit all tastes. Guatemala chocolate maker Carlos Eichenberger creates this small-batch artisan chocolate entirely from local cacao grown on the Finca Las Acacias and Finca Los Ujuxtes plantations. The fragrance is big, olivy, and crisp; the flavor full and fruity, perfectly balanced between tart and sweet. This bar is a beautiful combination of sweet and spicy. With sunny, salted, Hawaiian Pineapple, this bar takes you right to the Hawaiian pineapple fields. We then pluck ripe Hawaiian Ghost Peppers from our back yard and infuse them into our 60% Dark Milk chocolate. Don’t be scared, we put just enough in this bar to give your taste buds that ghostly tingle without the burn. This tastes quite different from the non-organic Pralus bar to me. Supporting the preservation of traditional farmers, Big Tree Farms, with direct support from USAID and AMARTA, has created in Bali the first fully integrated Central Processing Unit (CPU) in Indonesia for the efficient fermentation, drying, warehousing and sale of cacao. We specially selected with them trinitario cocoa beans from the two Sukrama brothers’ Farms in the Melaya Area. These are the first Bali Single Origin bar ever made in Europe. The dark version has fruity hints of papaya and mango. The 100% Cacao has hints of fruit and spices with a perfect balance of slight acidity and bitterness in the unsweetened cacao. All of the cacao ingredients in our raw chocolate are minimally processed and kept at low temperatures to maintain the antioxidants and complex flavour profile of the natural cacao. Specifieke cacaobonen. Echter steeds zeldzamer geworden, cacaoplantages vervangen door door palmolieplantages of gewoon gewist. “Planet e” vergezeld de Zwitserse Felix Inderbitzin, chef koper van Felchlin en chocoladefabrikant. Prospectie door het tropische regenwoud in Zuid-Amerika op zoek naar de meest aromatische cacaobonen in de wereld.